Shoppings are sales space where architectural gestural creativity and space optimization completely comfirms its representation and fame. In this case, the concept is essential and, contrary to the large commercial department stores chains that globally multiply, these sales space and interaction become unique entities. 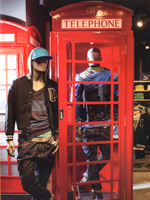 Whether the concept-store of one or various brands (multi-brands) or flagship stores of a praticular brand. 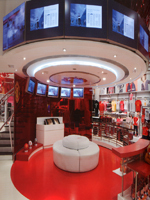 Sales space is a meeting point and the exchange zone that transfters the brand image and a specific commercial sale. 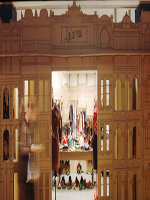 In response to this market evolution, the architects are required to renew themselves without stopping their sales through innovative and surprising environments, with the intention of creating the event, keeping the strategic localization of a brand, the commercialization, communication, the visual identity, the architecture itself and brand and its relation to the facades, the shop windows, adaptations of the interiors, the circulations, zoning, implantation, the environment, the materials, colors and lighting, etc. 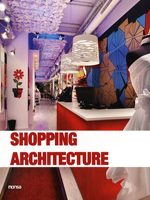 We present in this book stores where the overall design is innovative, localizable and memorized.